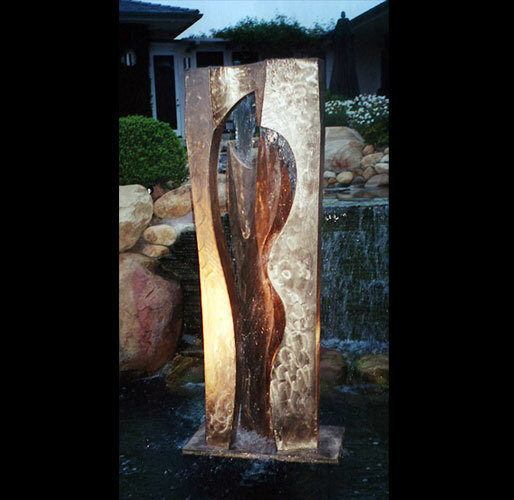 For four decades, Aristides Burton Demetrios has been creating and fabricating sculpture, admired by thousands who have enjoyed his public works, and cherished by private collectors who have commissioned or procured for their homes his sensual fountains, lyrical bronze figures, or boldly colored painted abstracts. 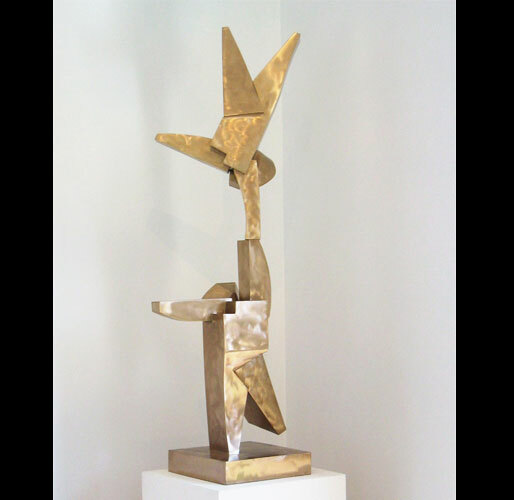 Over these forty years, Demetrios has artfully moved between figurative pieces that draw on his love of history and literature, and abstract pieces whose meaning is a duet of discovery between the artist and the viewer. 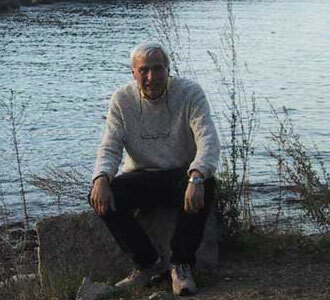 In his recent work, Demetrios reveals yet another voice that celebrates with a boldness near unseen among artists composing in the early twenty-first century, a boundless joie de vivre. 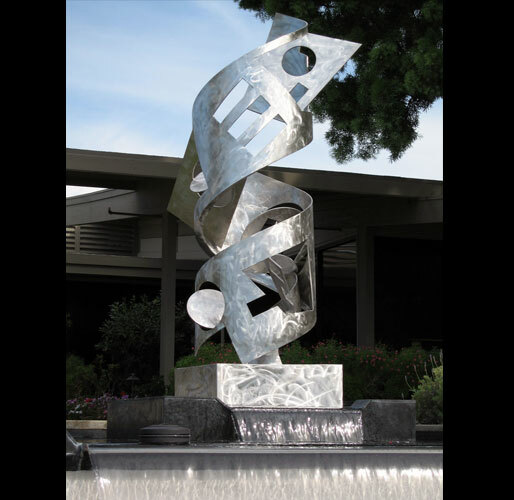 In Demetrios’ leviathan public sculptures, ranging up to 92′ high, he demonstrates a mastery of the formidable technical and aesthetic exigencies of large scale sculpture making. 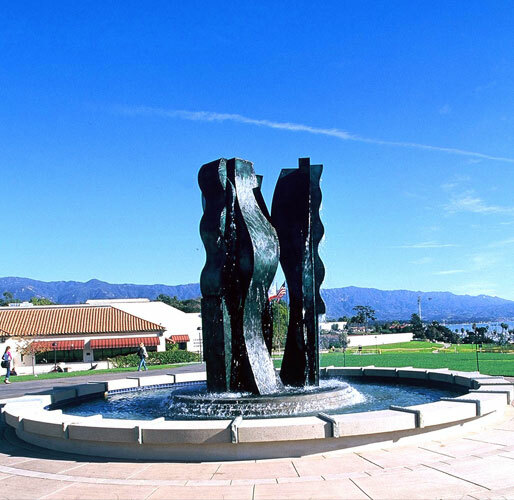 The most recent addition, the bronze fountain “Mentors”, overlooking the ocean on the campus of Santa Barbara City College, is a masterpiece of beauty and technique, with a powerful metaphoric message. 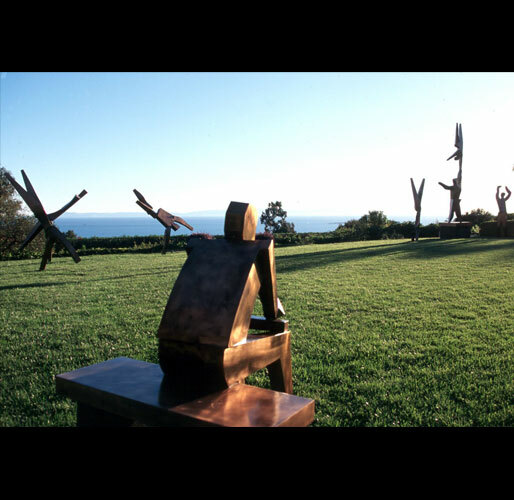 The sculpture, like the sea, beckons the students to a life long commitment to learning, where teacher and student play mentor to one another. 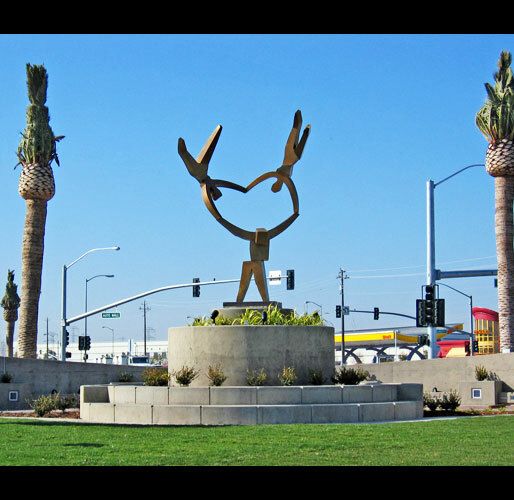 Complementing the sculpture Demetrios creates for outdoor public spaces are the more intimate and personal bronze and painted steel pieces, whose range is like a kaleidoscope of imagination, with each new sculpture begetting the next iteration. 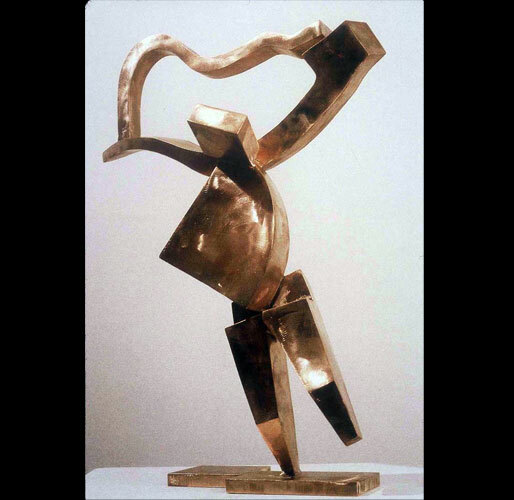 The fire engine red series “Verging Ribbons”, with its playful curves gave rise to the “Tomorrow’s Dream” series, where circles upon circles call to mind linked hearts and graceful dancers. 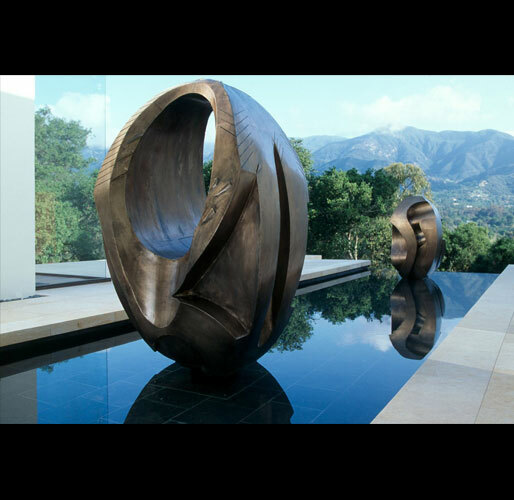 Volumetric bronze abstract figures, like “First Step”, “Ode to Joy”, and “Joie de Vivre” play upon one’s imagination in a way that celebrates the beautiful juxtaposition of mind and spirit. 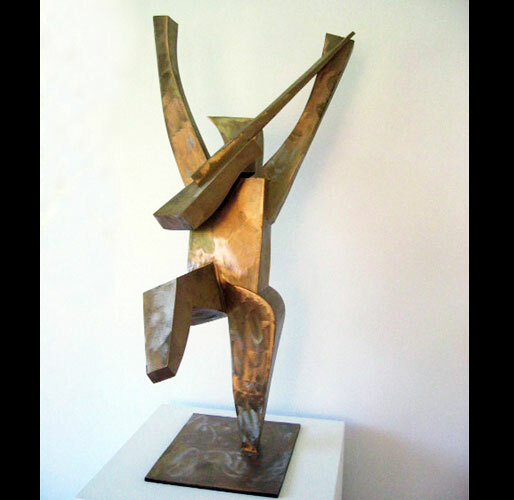 Demetrios’ sculptures speak to us; they invite us to smile, to resonate with his narrative message, to find meaning on our own and to cherish the ability of art to be a language of invitation.